Arlington Fire Chief James Bonzano is retiring in a few months, ARLnow.com has confirmed. The county will formally announce Bonzano’s retirement this afternoon. A job posting, seeking his replacement, was recently published on the county careers website. 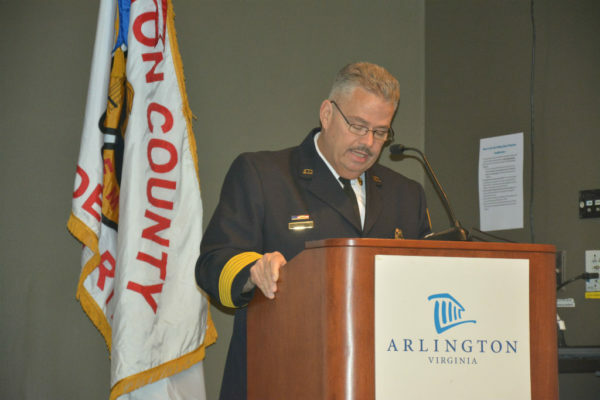 Bonzano will have served as chief for about three years when he retires, capping a 34-year career with the Arlington County Fire Department that included service as EMS branch director at the Pentagon following the Sept. 11 terror attacks. He was appointed acting chief following Chief James Schwartz’s ascension to deputy county manager in 2015 and was subsequently named the permanent fire chief in 2016. In a statement, County Manager Mark Schwartz lauded Bonzano’s commitment to the Arlington community. An exact retirement date has not been confirmed, but a fire department spokesman said that Bonzano will retire at the end of the summer. The county is currently in the process of looking for a new chief. The full text of the job posting for the position is below, after the jump. Hat tip to Tom N.
Arlington County is looking for an experienced, progressive senior level manager to lead its nationally recognized Fire Department. This Fire Chief will direct the overall operations in an all-hazard organization to deliver essential emergency and non-emergency services to the community to include fire suppression, fire education and prevention, special operations, and EMS services. The Fire Chief reports directly to the County Manager and is responsible for setting the overall department strategy and direction, collaborating with other County agencies, and building inter-jurisdictional/regional relationships. Managing change proactively and fostering a climate that embraces change. As a department head, this position is responsible for hiring, transfers, promotions, demotions, and implementing significant disciplinary actions while an Assistant Chief manages day-to-day operations through three Deputy Chiefs. The Arlington County Fire Department (ACFD) operates 10 fire stations with a $62M operating budget and 340 uniformed and staff employees who provide services through three major programs: (1) Emergency Services Program (Fire/EMS) which provides response for emergency and non-emergency requests for service; (2) the Support Services Program which includes Special Operations (High Threat, SWAT, HazMat, Special Events, Technical and Water Rescue), Fire Marshall (Code Enforcement and Prevention), and Communications and Logistics; and 3) Personnel Services including the Fire Training Academy, Health/Wellness/Safety, and Human Resources functions such as employee relations, timekeeping, and performance management. For more information please visit the Fire Department’s public website here. Arlington, Virginia, is an attractive, well-planned community with excellent location and a unique blend of desirable living standards, and effective, pro-active government. An urban County of about 26 square miles located across the Potomac River from Washington, D.C., Arlington is best known to visitors as the home of the Pentagon and Arlington National Cemetery. Arlington has won recognition as an innovative, progressive and dynamic organization that is well-known for its community-driven processes and its forward-thinking policies and practices with significant and meaningful opportunity for public participation. Since the 1930s, our community has viewed itself as a learning organization, one that strives to constantly improve for the benefit of all its residents. That culture is infused throughout our workforce and community. For more information about Arlington, click here. The successful candidate will have a combination of education and experience equivalent to a Bachelor’s Degree in Fire Science, Emergency Services, or related field and command-level experience managing multiple company operations. This Fire Chief will have a supportive leadership style that motivates, inspires and engenders coaching, mentoring and team building, and fosters cooperative relationships within the Fire Department and with County leaders, the community, the County Board, and regional, state and national partners and stakeholders. Have an unblemished record of ethical and professional conduct that can withstand intense public scrutiny. The preferred candidate will also have a Master’s Degree in Fire Science, Emergency Services, or related field and leadership certifications that indicate professional achievement such as National Fire Academy Executive Fire Officer, Center for Public Safety Excellence Chief Fire Officer (CFO), Incident Command System (ICS) 400, Fire Officer III and Instructor III. Interested candidates should apply by the preferred filing date of June 4, 2018 to receive first consideration. Please go to http://careers.arlingtonva.us to apply. Access this position by clicking on the apply now tab. Please attach a cover letter and resume to the on-line application or include your response in the supplemental question. Your letter should describe why you are interested in the position in Arlington County. You should also describe your experience and accomplishments in the following areas: (1) budgeting, and capital improvement; (2) labor relations; (3) leadership development and succession planning; (4) performance management especially as it relates to accountability, deployment of services, and use of metrics to drive decisions; (5) overseeing or directing and implementing new programs or initiatives that had significant impacts on your department or community; and (6) regional partnerships. Also, be sure to describe the size of the organization(s) you served including budget and staff, the range of services and functions you managed, the ranks you held, and to whom you reported. The Fire Chief is part of the Executive Management Accountability Program (EMAP), a pay-for-performance management system, in which Senior Executives are eligible for a negotiated salary/benefits package and are evaluated and compensated based on a performance agreement linked to the County Management Plan and results achieved. Salary is negotiable with a salary range of $117,145.60-$224,806.40 (effective July 1st) with a competitive benefits package including health and dental insurance, generous leave programs and holidays, and a competitive retirement program including a defined benefit plan, a defined contribution plan and a deferred compensation plan. 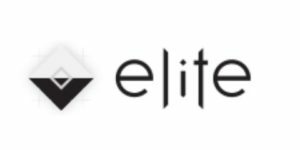 For more details about our benefits please click here. A resume may be submitted as an attachment rather than completing the work experience portion of the application. Interested qualified applicants are encouraged to submit their applications as soon as possible as this recruitment is open until the position is filled with a preferred filing date of June 4, 2018. Qualified applicants whose application is received by the preferred filing date will receive first consideration. Applications received after the preferred filing date may be considered if a hire is not made from applicants received by the preferred filing date. This is a confidential process and references will not be contacted until mutual interest has been established. A comprehensive reference/background check will be conducted for all candidates who are finalists for this position. The background check may include checks on the following: criminal record, driving record, education, certifications, credit rating and media review. Employment is contingent upon completion of a physical exam and the selected candidate will be required to complete the Commonwealth of Virginia Statement of Economic Interest form upon acceptance of employment and annually thereafter.